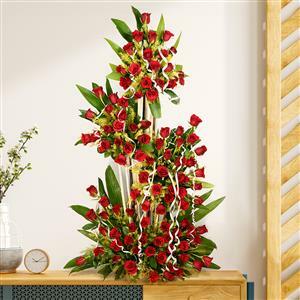 A wonderful tall arrangement of 100 fresh Red Roses with lots of green ferns and decorated with ribbon. Your dear ones in India will definitely be overwhelmed to receive this flower arrangement. Send this flower arrangement with other Gifts to India through RGCards.com.